This Peppermint Hydrating and Plumping Lip Balm by Shae is a deeply hydrating lip balm with a mild plumping effect. 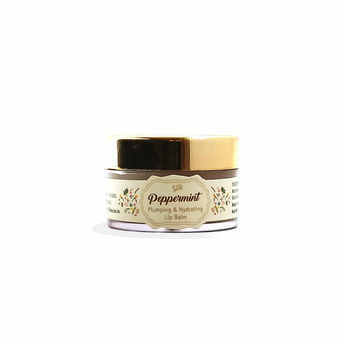 The combination of virgin botanical oils and butters nourish the delicate skin while the Peppermint essential oil helps increase the flow of blood to the lips, presenting a plumping effect for fuller looking lips. About the Brand: Shae brings to you a range of all natural beauty and skincare products, with their roots deep in the heart of mother nature. Free from harmful chemicals and synthetic elements, the range of Shae products include facial grains, clay masks, body wraps and polishes, gentle sugar scrubs, deep moisturizing massage bars and luxurious milk baths. Each product is handcrafted with care from some of the most bountiful produce nature can provide us.